The octopus already is an oddball of the ocean. Now biologists have rediscovered a species of that eight-arm sea creature that's even stranger and shares some of our habits. With their shifting shapes, mesmerizing eyes and uncanny intelligence, octopuses "are one of the most mysterious and captivating species," said Rich Ross. He is a senior biologist at the California Academy of Sciences. "They're aliens alive on our planet and it feels like they have plans." For Ross and colleagues, it got stranger. That's when they got a batch of octopuses from Central America to study. The critters just didn't fit the loner denizen-of-the-deep profile that scientists had drawn for the rest of the 300 or so octopus species. Most octopuses live alone. But couples of this species can live together to mate for a few days in the same cramped den or shell. While other females lay one batch of eggs and then die, the female of this species lives longer and produces eggs constantly. That improves the species' chance of survival, Ross said. But there's more to the species. These octopuses clean out food waste from their dens. They twirl their arms like an old-timey movie villain with a moustache. And they quickly learn that people mean food. When someone enters the room, they leave their dens and head to the top of the tank. "It's the most amazing octopus that I've ever gotten to work with," Ross said. The octopus, normally a dull chocolate brown, suddenly sports stripes and spots when it gets excited or upset, said Roy Caldwell of the University of California, Berkeley. He is the lead author of a paper on the octopus, which Ross and others published in the journal PLOS One. The species is preliminarily called the Larger Pacific Striped Octopus, although it's really not much bigger than a tennis ball - just bigger than a similar species. It was found almost 40 years ago off the coast of Panama. Other scientists wouldn't believe it was a separate species or that it showed such distinctive behavior. So its discoverer, Arcadio Rodaniche, gave up and the species was never formally described or named. Then in 2011, Caldwell got an email from a high school student about his pet octopus, Charlie. It was the same species discovered in the 1970s. Caldwell traced it to a dealer who sent him two-dozen of the species from Panama, Nicaragua and Mexico to study in captivity. The researchers note that this octopus species could act differently in the wild. They included Rodaniche as a co-author after the retired researcher declined to let them name the octopus species after him. In the journal Nature, a different team of scientists published the first map decoding octopus genes. 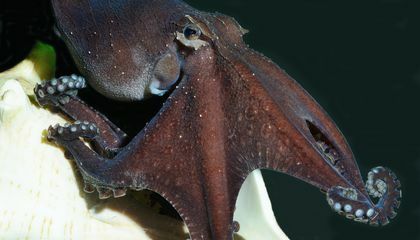 They found the octopus's genetic code is only slightly smaller than humans, but twice as big as a bird's genetic instruction guide. Octopuses are invertebrates, meaning they have no backbones. 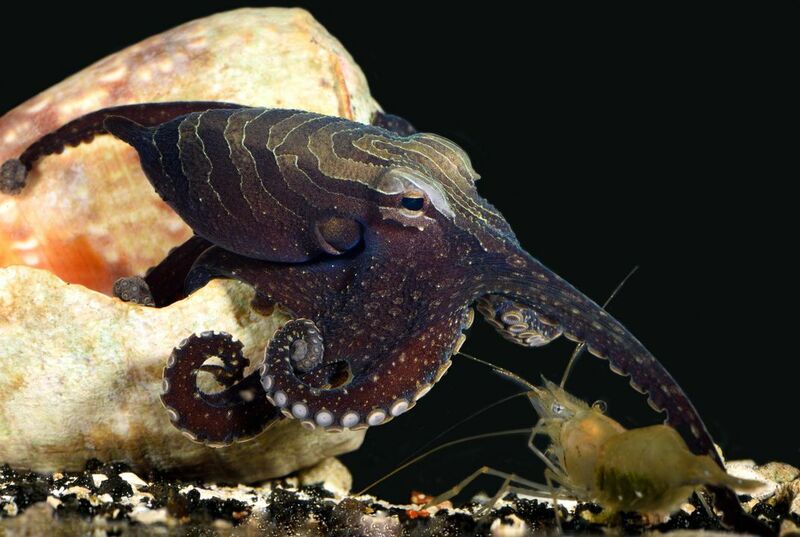 Invertebrates generally have a less evolved nervous systems, but not the octopus. They found that it had many of the same genes as other invertebrates, although mixed up as through a blender, said study author Clifton Ragsdale at the University of Chicago. "There's a lot of weird creatures and these are the largest of the weird creatures," he said. Why do we get goosebumps? Why might this same species act differently in the wild? Octopuses are being proved that they are aliens and they have been living with us for a very long time. These animals are one of the animals that are unique and very special for their ability to do things that most animals can't do. I really think that it is cool how they can shape shift like they do they match color brightness and texture. I love theses stories they are interesting to me. on this one I don't think a octopuses are aliens. but the story is still interesting. thank you Mrs. Nave for showing this stuff to us. They might act differently in the wild because they might not see humans in their whole lives in the wild.